When Ruger and Hornady set out to create a new “varmint” caliber, they knew exactly what they were doing. They were both long-time heavy hitters in the “Varmint” game. 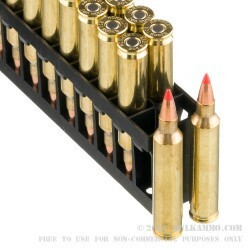 They most certainly were trying to create one of the world’s fastest production cartridges. They most certainly were trying to create one of the world’s flattest shooting trajectories. 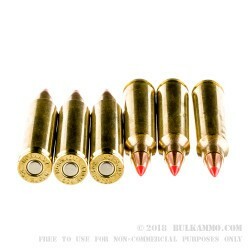 They must have certainly known that with the brand names of Ruger and Hornady, that it would eventually become a “mainstream” round for those speed freaks among us. 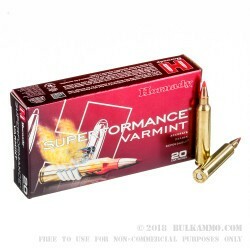 The round in question utilizes a proprietary formulation of powders from Hornady that is not available on the commercial market and which produces better velocity at factory than what a hand loader can achieve. That is perhaps the rarest claim to fame in all the accolades for the round, because hand loaders have been embarrassing factory rounds for 100+ years when it comes to static ballistics. 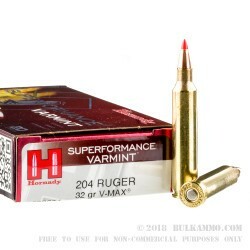 The round as shown here produces 4225 feet per second velocity out of the muzzle and 1268 pound feet of energy from the bore and ensures that any varmint end up dead for anywhere between 50 and 500 yards if they come in contact with the 32 grain VMAX projectile coming out of this Ruger .204.